If you created a deployment extending your existing domain, you can decide what users and security groups you want to bring to cloud (itopia and GCP). After your provisioning finished and you completed your provisioning tasks, go to Cloud Desktops > Users. You will get the message stating there are no users in your deployment. The system will offer you an option to import them from your existing AD. 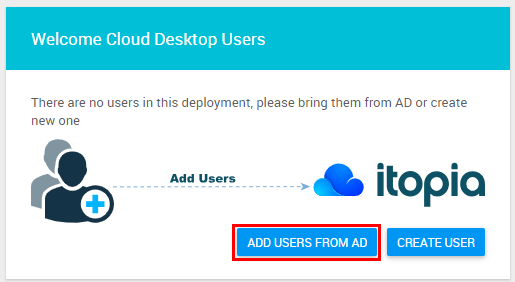 To create those users in itopia and GCP click ADD USERS FROM AD button. 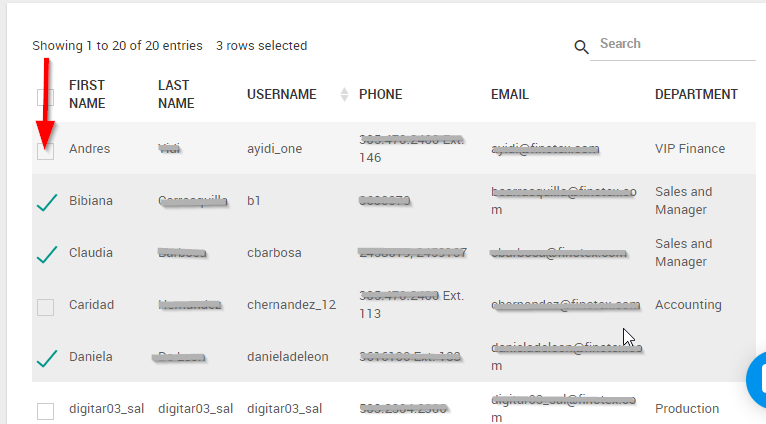 You will get a list of your AD users, click the check box next to the users that you want to bring to GCP and click Save. The same process as above applies for security groups. Go to Cloud Desktops > Security Groups. 3. 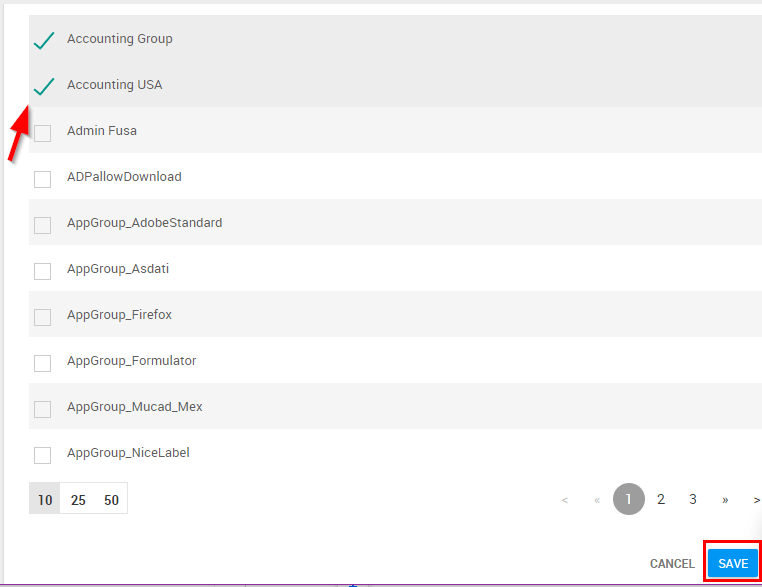 Select the groups you want to bring and click Save. The groups will be created in your domain controller in GCP. Note: If you're importing groups containing users that haven't been imported to cloud yet, the system will automatically import those users together with the group.